Experts from Labalaba Foundation for Lupus Awareness and Advocacy has urged patients to make their doctors their best friends and go for constant check up. 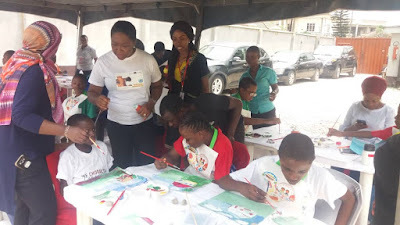 The foundation made this call in collaboration with Rheumatology and Dermatology Clinics of Lagos University Teaching Hospital (LUTH) and the Lagos State University Teaching Hospital on World Lupus Day 2018 held at LUTH Idi-Araba Lagos. Part of its aim was to raise awareness and make a difference for people affected by Lupus in Nigeria. Consultant Dermatologist and Genito-Urinary Physician, LUTH, Dr. Ayesha Akinkugbe, says lupus knows no boundaries. It affects anyone on any organ anywhere in the world. As a Senior Lecturer, Faculty of Clinical Sciences, Clollege of Medicina Unilag, Akinkugbe expressed that women of African descent were especially at risk more than the men. She warned against some symptoms: constant malaria, fever, typhoid, rashes on faces and body (causes itching), weakness anaemia, convulsion, mouth and throat sore, chest pain, headache and loss of concentration among others. According to her, “Global Prevalence of lupus also know as Systemic Lupus Erythematosus (SLE) lies between 0.02% and 0.15%. The incidence and prevalence is two to three times more in Africans and Asians than in Caucasians." The expert further said that the epidemiology of lupus in Nigeria and Africa is largely undetermined, and the perception persists that the incidence is very low. “A recent study found that lupus has become one the top causes of death of young women between 15 and 24 years olds. This can be attributed to lack of societal awareness; therefore the awareness effort in Nigeria must become more aggressive,” the Dermatologist said. Hence, through the Labalaba Foundation, rheumatologists have assured patients that they are committed to improving the quality of life of all people affected by lupus and their families through education, advocacy and support that will engage the healthcare community and the society at large. Speaking also, Professor of Medicine and Consultant Rheumatologist at LASUTH, Olufemi Adelowo, said the cause of lupus remaimed unknown, though there are many hypotheses.